Corey Williams, great great grandson of Fred Negus, a Cornish miner from Camborne who served at the Western Front, now plays in Camborne Youth Band and will retrace his footsteps to France this August. 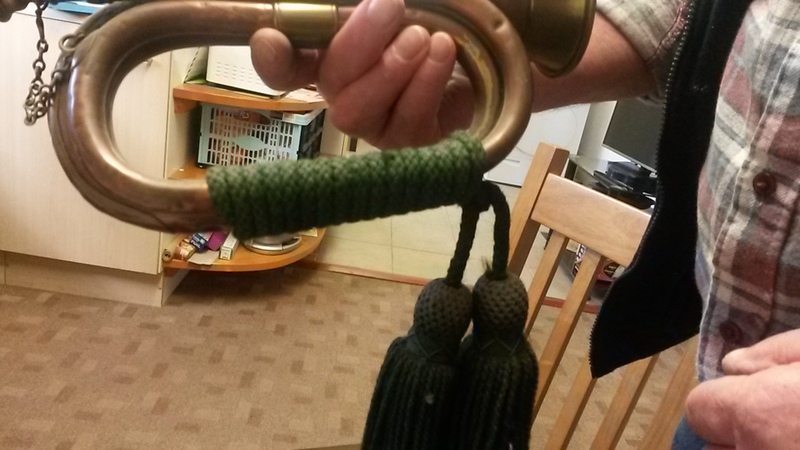 Even more extraordinary, Corey’s family has Fred’s bugle brought back from France in 1919. Fred Negus was one of a group of St John Ambulance men from Dolcoath mine who signed up in 1914 and served in France in the Royal Army Medical Corps throughout the war. We have presented his story in previous stages of Heart of Conflict, our work in Cornwall marking the centenary of World War One. 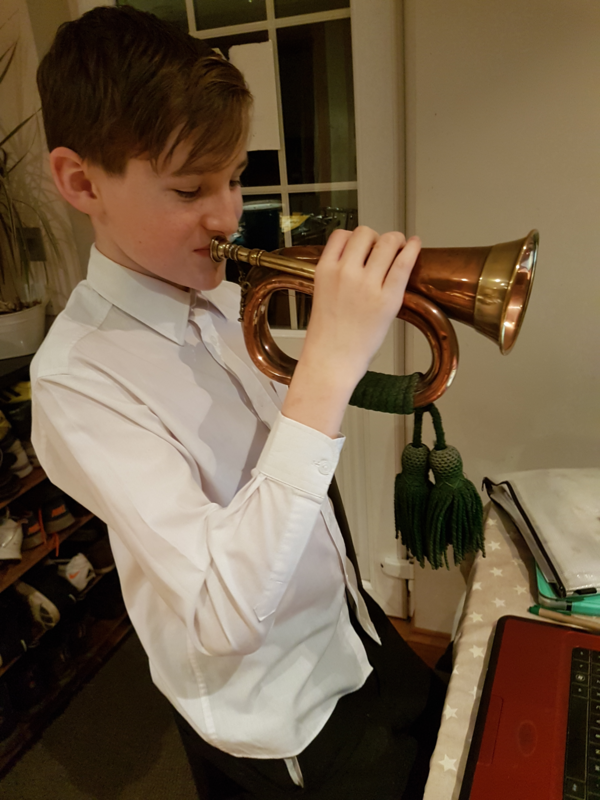 Nearly 100 years on from Fred’s return in 1919, Corey will be travelling to France and Belgium with Camborne Youth Band and playing at the Menin Gate in August 2018. They will take Fred’s bugle and also travel to Estaires, northern France, where Fred and other miners were stationed in the early years of the war. Fred and the other Cornishmen played three rugby matches near Estaires in 1915 after Camborne Rugby Club sent out a ball. More than a century on back in Camborne, these matches are still being remembered as the Band prepares for the trip.